THE DIVERGENT SERIES continues with its new movie INSURGENT in theaters March 20, 2015. 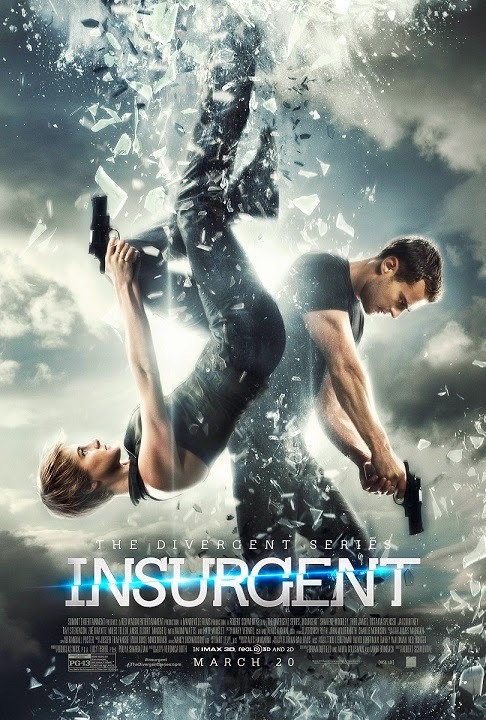 Today I am excited to host a giveaway where 25 of my San Diego readers will win a pair of screening tickets (each) to watch it before it opens at the INSURGENT San Diego screening taking place at AMC Plaza Bonita on March 18, 2015 at 7:30pm PST!! If you have read the book or have watched the first movie you know that this movie will be action packed with twists and turns that will have you at the edge of your seat. For me as a style blogger, I'm always intrigued with the costumes design choices especially in these scenarios where Tris (played by Woodley) is doing all of these crazy stunts yet she looks sharp and fierce while doing it! The trailer alone had me in suspense. If you're in San Diego and would like to enter this giveaway go to this link and register for a chance to win the passes. The winners will be selected from those who register and the passes will be e-mailed by Monday, March 16, 2015 to attend the screening at AMC Plaza Bonita on March 18, 2015 at 7:30pm PST. For all of my nationwide readers, stay tuned as I host another INSURGENT related giveaway next week. Also don't forget to check out the movie and use hashtag #INSURGENT and #DEFYREALITY on your INSURGENT related instagrams and tweets! My fiancee really liked the first movie, she keeps begging me to take her to see the sequel later this month.